1. Wash and soak red kidney beans in water overnight. 2. 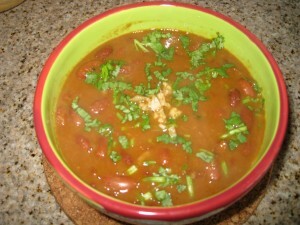 Pressure cook red kidney beans. 3. Heat oil, add finely chopped onion, saute till golden brown. 4. Add the ginger garlic paste, saute for a minute; add tomato. 5. Cook till oil seprates.add turmeric powder, corriander powder, jeera powderand mix. 6. Add red chilly powder.Mix and add the cooked rajma along with water. 7. Add salt&cook till the gravy is thickened. 9. Serve garnished with ginger juliens&corrianderleaves. 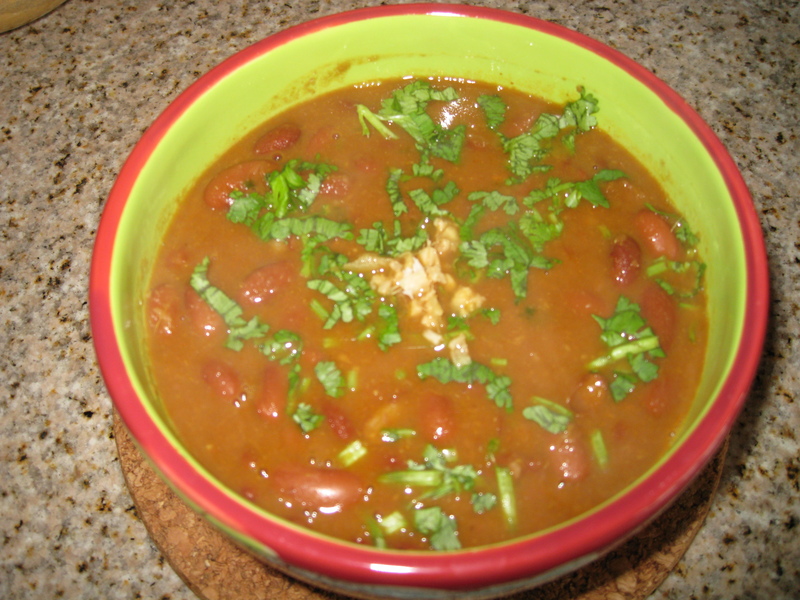 Tips: Slightly smash rajma for thicker gravy.